#1. Awesome cardboard hanging pendant lamp found on Poppytalk, tutorial by Chelsea from Lovely Indeed. Looks pretty easy to make, and I probably own most of the materials. #2. For a harder DIY lamp you could always purchase one of Donkey and Friends' paper animal head lamps. 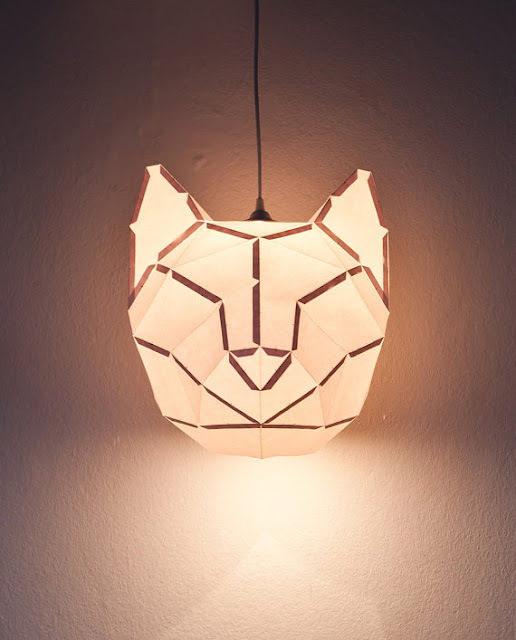 I like the idea of cutting, folding, and glueing my own lamp, but I wonder if I could figure out how to make this without the 3D printed out flat plan. An owl face would be awesome. #3. 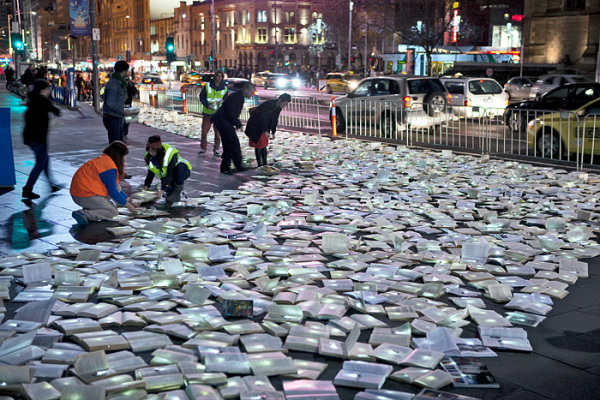 This is a beautiful installation by Luz Interruptus in Melbourne covering the streets with 10,000 discarded books. I was at a book store a couple hours ago, and my mom and I were talking about how we would be sad if we were no longer able to shop at a bookstore. It's scary to think that within my lifetime books may no longer be printed. #4. 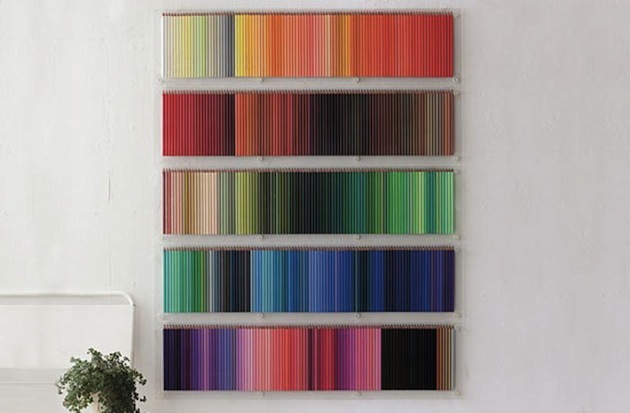 I need this colored pencil display by Felissimo, found via Inthralled. A company based in Japan that provides 25 pencils of similar hue for 20 months with subscription. 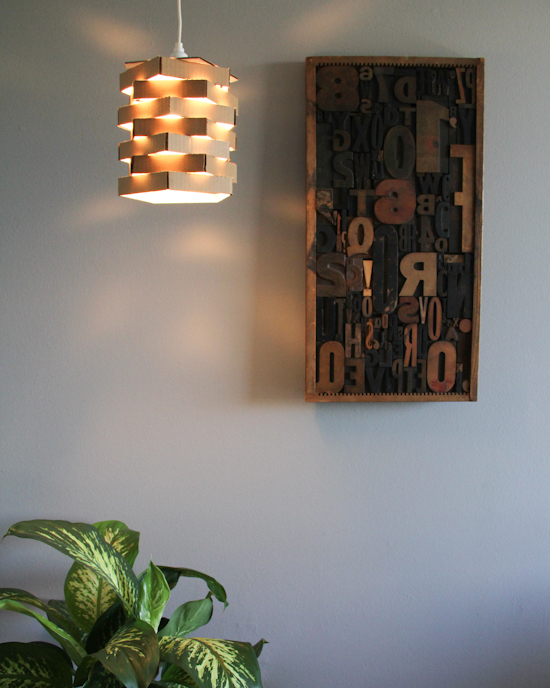 My craft room wont be complete without this on a wall. #5. I'm also fairly certain I need a pair of these handmade glasses crafted out of old skateboards. 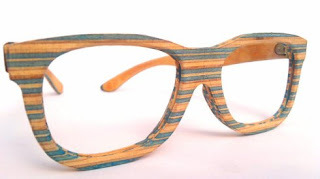 Found on Handsome Things, and can be purchased from Sk8shades. #6. 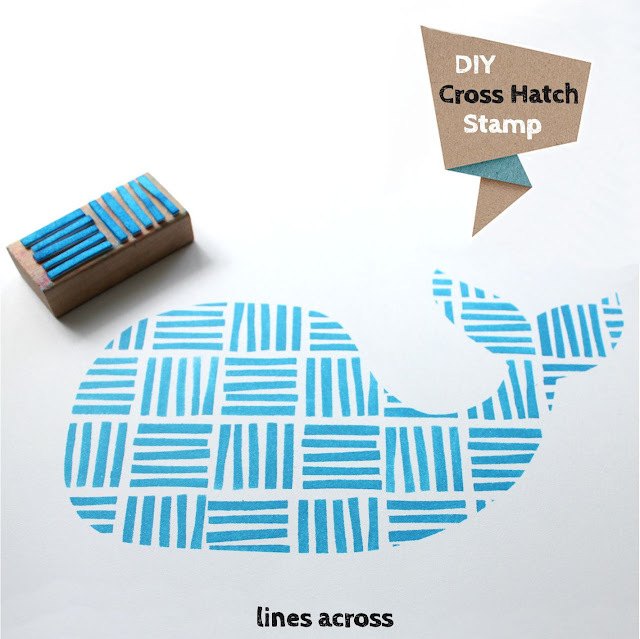 This is a really cute DIY by Lines Across, which I think looks extra simple too. I definitely want to give this a try!